For many, preparing a Will can be a daunting task. There are often concerns about the time involved or even thinking about death. However, given the rising number of inheritance disputes, having a professionally drafted Will is more critical than ever. Your Will ensures that your assets are distributed in accordance with your wishes. Take for example a couple who have been dating on-and-off again for 3 years but then the relationship ended. The law may conclude on the facts that they were in a de facto relationship for a time. 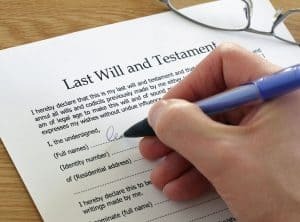 As such, even though the relationship ended, the surviving individual may claim against the family and the estate will be in litigation for sometimes several years. DIY Will kits are relatively inexpensive to purchase. However the money you save upfront can be far outweighed by the issues faced by your loved ones upon your passing. If errors are made within the document, including whether the strict witnessing rules are adhered to, then the document could be deemed invalid. DIY Will kits are unable to provide you with options and guidance regarding complex situations including blended families, trusts or self-managed super funds. Neglecting to attain expert advice could leave your assets vulnerable to unnecessary tax and prolong the grant of probate. Making sure your loved ones are provided for is far too important to leave to chance, and the consequences could be disastrous if mistakes are made. Here at Belperio Clark we have experienced solicitors that are able to assist you with preparing Wills and other associated documents. Please contact one of our friendly team members on (08) 8212 1322 to book a time.